From world-class architecture and fascinating history, to top-notch restaurants and beautiful parks, France’s capital city really does have something for everyone! First-time visitors to Paris will almost certainly want to head up the Eiffel Tower, where they can get unforgettable views from one of the three viewing platforms (the third is 276 meters high). The Eiffel Tower can be extremely busy, and is pretty expensive, but fear not: there are plenty of other great spots for incredible views over France’s capital. 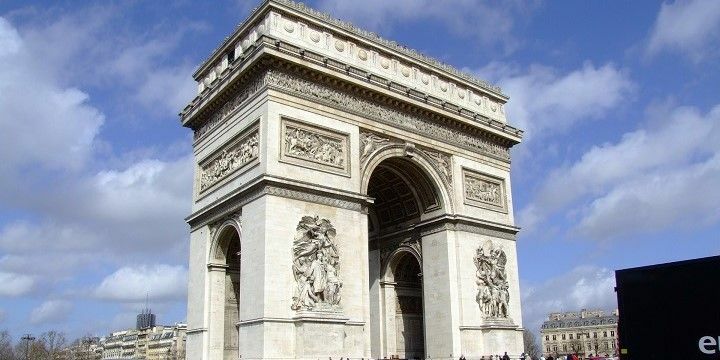 Why not head up the biggest arch in the world, the Arc de Triomphe, located at the western end of Paris’ best-known street, the Champs-Élysées? The Arc de Triomphe is located at the Place Charles-de-Gaulle. Alternatively, hop in the super-speedy elevator at Montparnasse, which will take you up to the 56th story in just over a half a minute. From there, you can climb the stairs to the 59th floor, from where you can see for over 40 kilometers on a clear day. The best thing about heading up the Arc de Triomphe or Montparnasse is that the Eiffel Tower will feature in your view, making your travel pictures even more iconic! Paris is home to a huge variety of beautiful architecture, which tells the story of the city’s past. The UNESCO world heritage site of the gothic-style Notre-Dame Cathedral, for example, was built in 1163, and took over 170 years to complete. 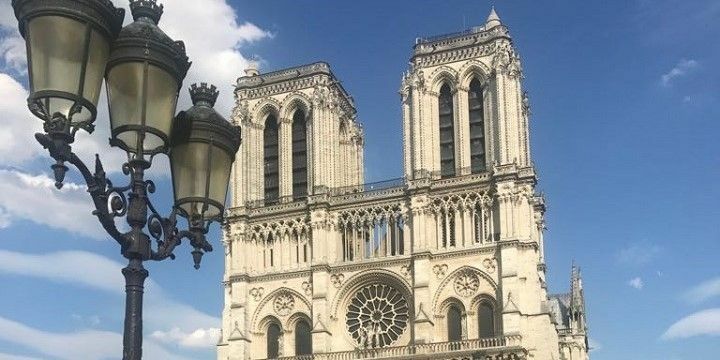 The Notre-Dame Cathedral took more than 170 years to complete. Another must-see is the Louvre, the world’s largest art museum. It’s home to nearly 40,000 pieces of art, including the world-renowned Mona Lisa, and is famous for its glass Louvre Pyramid. Escape the hustle and bustle of the city by exploring one of Paris’ many beautiful parks. The Luxembourg Gardens, for example, were inspired by Florence’s Boboli Gardens. In addition to the 100 statues, and the famous Medici Fountain, visitors can often enjoy free concerts in the park, especially during summer months. The Luxembourg Gardens features more than 100 statues, a fountain, and free concerts in summer. Perhaps Paris’ most famous park, the Champ de Mars runs along one side of the Eiffel Tower, down to Paris’ Military School (the park used to be a military training ground). Visit at night to enjoy the Eiffel Tower’s twinkling lights! France’s capital city has plenty of evening entertainment to offer. Why not check out the Moulin Rouge, home to the world’s most-famous cabaret show? The building, which is known for its famous red windmill that adorns its roof, hosts the world-renowned Féerie show, with more than 80 performers, who made the can-can into a world-renowned dance! For a more relaxed evening, head to bars and clubs in in the trendy districts of Oberkampf or Bastille. Alternatively, visit Le Marais (the Jewish Quarter), to enjoy the city’s most delicious falafel along the Rue de Rosiers. If it’s a nice evening, take your tasty meal to one of the district’s many tranquil parks to enjoy an al fresco dining experience with a twist! If you’re going to take one day trip while in Paris, make sure it’s to the Palace of Versailles. Located one hour outside of central Paris, this UNESCO world heritage site — originally established by Louis XIII and later developed by Louis XIV — has over 2,000 rooms, spread across 60 square meters. The most famous room is the Hall of Mirrors, which links the King’s and Queen’s Apartments, and was the location of the signing of the Treaty of Versailles in 1919. 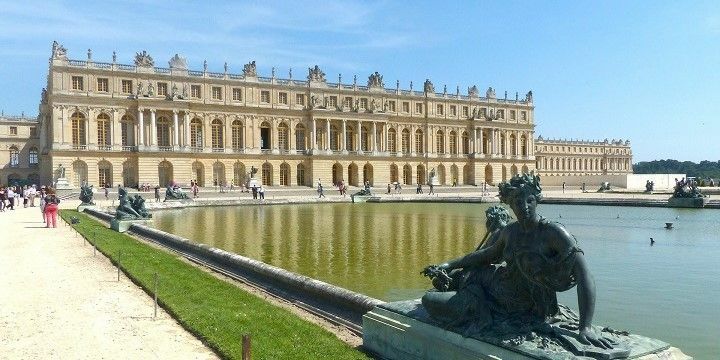 The Palace of Versailles is a great day trip from Paris. 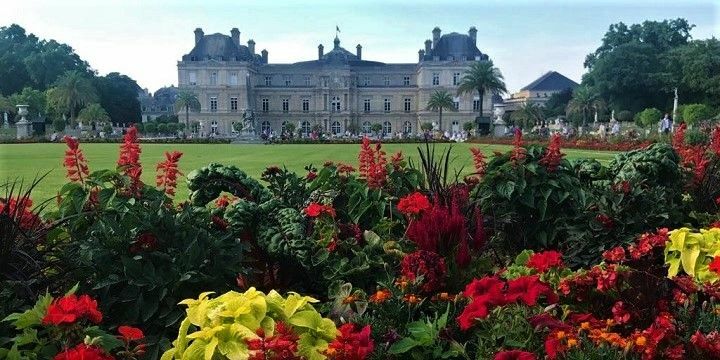 Don’t miss out on exploring the palace’s stunning gardens, which stretch over eight square kilometers, and are home to a range of gorgeous flowers and plants, as well as 50 impressive fountains. If NextStop24 helped you to choose your next travel destination, we'd be very grateful if you’d search for your accommodation and things to do in Paris through these links. They're affiliate links, which means that we will receive a small commission for every booking made through them. There are no extra costs for you; you'll simply be helping to keep NextStop24 running. Thanks! The city of Paris, Versailles and Disneyland. París is a wonderful city to explore and fall in love with it. If you want to know it well, need to spend more than 6 days, cause it’s very big. Paris is the most beautiful city I have ever visited. A mixture of natural beauty, amazing monuments and full of history! A complete destination! If you are looking for a beautiful city with stunning architecture, delicious food, and of course, the most romantic spot- the Eiffel Tower, then Paris is a must! Make sure you go to the Jewish Quarter for the best falafel ever!